The hollow Christmas Tree in the shopping mall houses a smaller tree inside of it. And look at those shimmering surroundings! 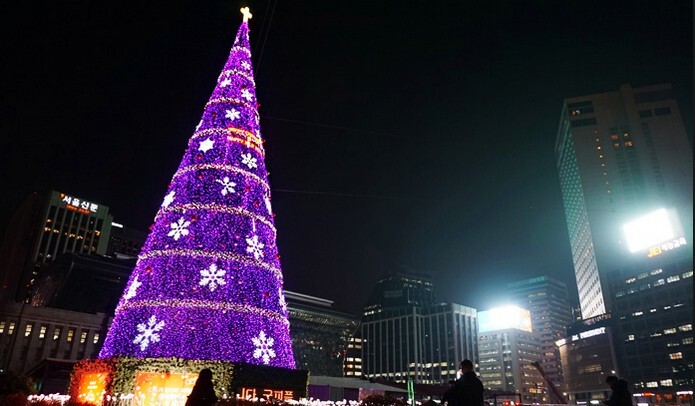 Various squares are also decorated with the lights and tall beautiful Christmas Trees.